A longtime New Yorker by way of Augusta, Georgia, Alfa Anderson began her professional singing career alongside some of the industry's most talented vocalists and musicians. She had a featured role in Cannonball Adderley's Big Man (1976), which premiered at Carnegie Hall, and also starred in Lincoln Center's production of Children of the Fire, a piece scored by legendary trumpeter "Hannibal" Marvin Peterson. Throughout the '70s, she recorded background vocals for a variety of artists, including Nat Adderley, Ray Barretto, Odyssey, Major Harris, and Roy Buchanan. Anderson also sang on the Quincy Jones-produced soundtrack to The Wiz (1978) and Atlantic Records' Live at Montreux (1978) album produced by Arif Mardin and Herbie Mann. 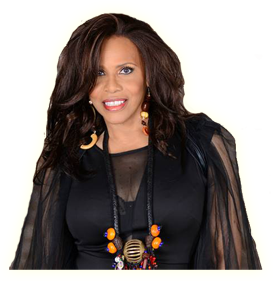 Alfa Anderson's life changed when her close friend Luther Vandross invited her to a vocal session for Chic. At the time, Nile Rodgers and Bernard Edwards had just formed the group with Tony Thompson on drums and Norma Jean Wright on lead vocals. She sang background on Chic's first two singles for Atlantic Records, "Dance, Dance, Dance (Yowsah, Yowsah, Yowsah)" and "Everybody Dance," which both brought Chic to the top of the dance charts for seven consecutive weeks in 1977. After joining Chic on tour, Anderson was promoted to lead vocalist, a role she and Luci Martin shared from 1978-1983. The group's second album, C'est CHIC (1978), was a critical and commercial tour de force. It spotlighted Anderson's two solo numbers, "At Last I Am Free" and the gold-selling single "I Want Your Love." Anderson and session vocalist Diva Gray both sang lead on "Le Freak," Rodgers and Edwards' ode to Studio 54. The song not only became Chic's most successful single but the biggest-selling single in the history of Atlantic Records. "Le Freak" topped the Hot 100 for three weeks and went to number one on both the R&B and disco singles charts, quickly earning gold and platinum certifications. C'est CHIC was later named "1979 R&B Album of the Year" by Billboard Magazine after it spent eleven weeks at number one on the R&B albums chart. Risque (1979) continued Chic's influence across all genres of music and spawned another number one pop and R&B hit, "Good Times." The song brought hip hop to the mainstream when it was sampled on "Rapper's Delight" by the Sugar Hill Gang. Throughout the early-1980s, Anderson maintained a lead role in Chic on Real People (1980), Take It Off (1981), Tongue in Chic (1982), the Soup for One (1982) soundtrack, and Believer (1983). Between her many appearances with Chic on Soul Train, The Midnight Special, Top of the Pops, and New Year's Rockin' Eve, Anderson lent her vocals to Chic-produced sessions for Sister Sledge (We Are Family, 1979), Diana Ross (diana, 1980), and Johnny Mathis (I Love My Lady, 1981). After Chic dissolved, Alfa Anderson continued her singing career with a variety of solo artists, most notably Luther Vandross. From 1982 through 1987, she was a member of Vandross' touring band, performing at some of the world's most prestigious venues. Throughout the '80s and '90s, Anderson sang on albums by Bryan Adams, Gregory Hines, Mick Jagger, Teddy Pendergrass, Jennifer Holliday, Billy Squier, Sheena Easton, Jody Watley, Bryan Ferry, and Jonathan Butler. In the late-'90s, Anderson and her husband Tinkr Barfield formed and produced Voices of Shalom, a group who explored spiritual themes through uplifting original compositions. They released two full-length albums, Messages (1999) and Daily Bread (2002), as well as a single called "What A Spirit" (2005), which featured guest vocals by Lisa Fischer and Keith Fluitt. Meanwhile, Anderson's voice continued to introduce the music of Chic to younger listeners in feature films like Shrek 2, Toy Story 3, Up in the Air, 54, Roll Bounce, and Spike Lee's Summer of Sam. In 2010, Alfa Anderson reunited with Chic vocalists Luci Martin and Norma Jean Wright on "My Lover's Arms." The trio was also joined by Lisa Fischer, who'd previously sung with Anderson in Vandross' band and Voices of Shalom. Produced by Tinkr Barfield, "My Lover's Arms" appeared on Tinkr B. & Lu-Fuki's It Is What It Is (2011). The album included Anderson's lead vocals and songwriting contributions on "Money, Power" and "The Song That Captures Your Heart." Both songs laid the groundwork for Anderson's solo debut. Written and produced by Eluriel (Tinkr) Barfield, Eluriah Barfield, and Taurie Barfield, "Former Lady of Chic" was the lead single off Alfa Anderson's very first solo project. During August 2013, Anderson and her film crew brought the song lyrics to life on the streets of New York. Directed by Fredy Mfuko, the video followed Anderson through different New York neighborhoods as new and longtime fans greeted her along the way. Alfa Anderson continues to enjoy a thrilling new chapter in her celebrated career. After being featured in the book First Legends of Disco (2014), she appeared with Norma Jean Wright and Luci Martin at the First Ladies of Disco concert in Palm Springs. That same year, she performed at Central Park SummerStage (NYC), the Grand Opera House (Wilmington, DE), The Cutting Room (NYC), Joe's Pub (NYC), and the opening of the Hard Rock Hotel in Ibiza, where she was a surprise guest during the venue's inaugural concert by Nile Rodgers. Whether performing solo or with her esteemed peers, Alfa Anderson's soulful, sophisticated sound always delights new and longtime fans of every generation all around the world.